What was the scariest thing about switching genres and what advice might you have for other YA authors considering switching tracks? I wasn't entirely sure I could plot a book without murder. My brain equates escalating tension and raising the stakes with murder, mystery, and mayhem, so how was I going to replicate that in a subversive, contemporary comedy? It was a struggle at the beginning, and the first draft had enough plot for three books. But as I got to know the characters more, I grew more comfortable with them and allowed those relationships to dictate the plot. That's when everything fell into place! As for switching genres, I think the key is maintaining your voice. 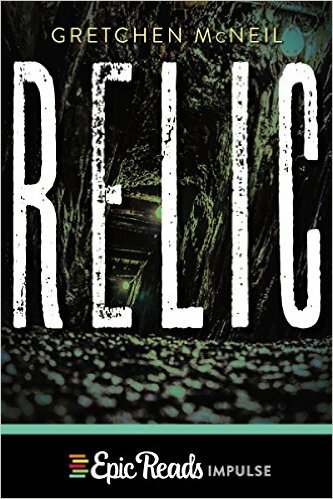 I'M NOT YOUR MANIC PIXIE DREAM GIRL and RELIC could not be more different, except when you read them, they still sound like Gretchen McNeil wrote them. And that is what readers--and publishers--are ultimately buying!